Materials: timber frame (pinus radiata), cotton webbing. Came with and without arms. Materials: timber frame, upholstery fabric, foam. Came with and without arms. Materials: hardwood, plywood, cotton webbing. Came with and without arms. Gifted to NGV Collection by Grant & Mary Featherston, 1984. Materials: Meranti (Shorea sp.) hardwood timber, cotton cord. Gifted to NGV Collection by Grant & Mary Featherston, 1989. 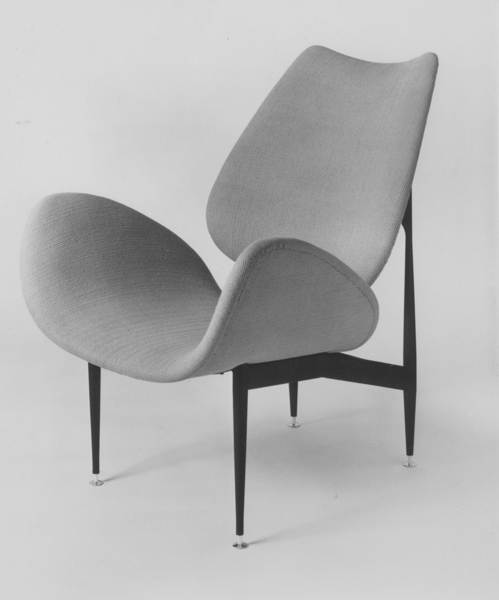 Materials: formed plywood, hardwood, horsehair wadding, latex rubber, upholstery fabric. Manufactured by Emerson Bros Australia and E&F Industries New Zealand. Part of NGV Collection. 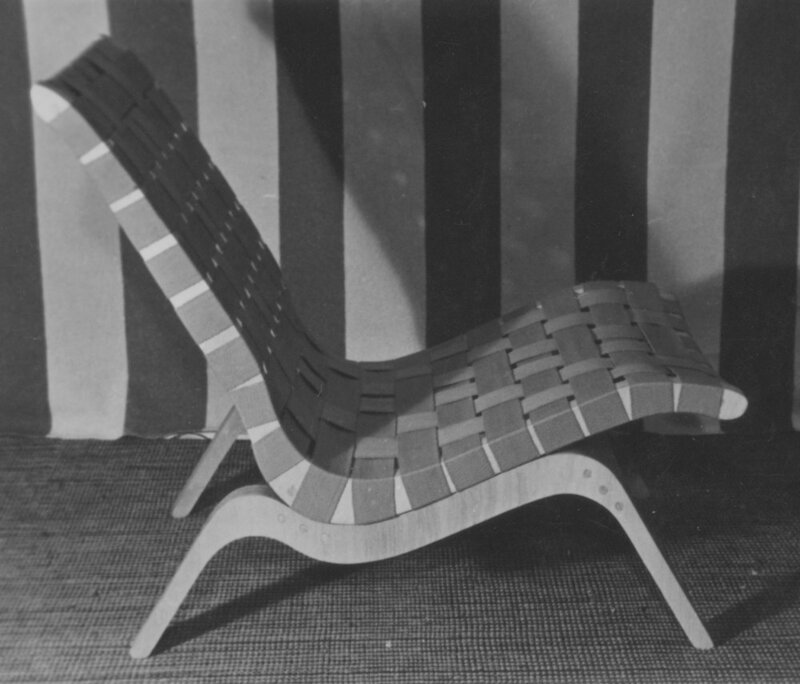 Materials: formed plywood, hardwood, horsehair wadding, latex rubber, upholstery fabric. 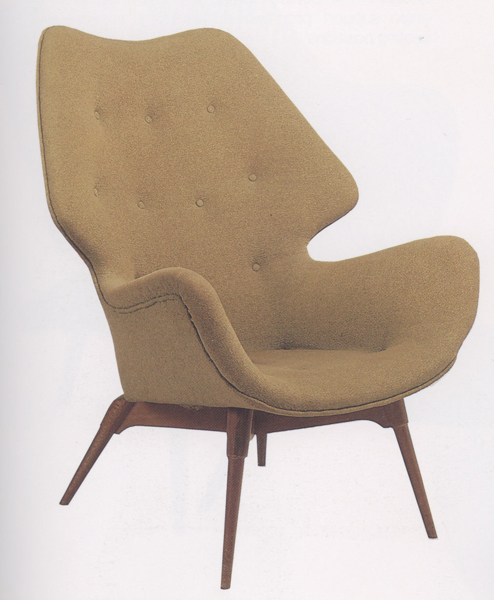 Materials: formed plywood, hardwood, horsehair wadding, latex rubber, upholstery fabric. Part of NGV Collection. 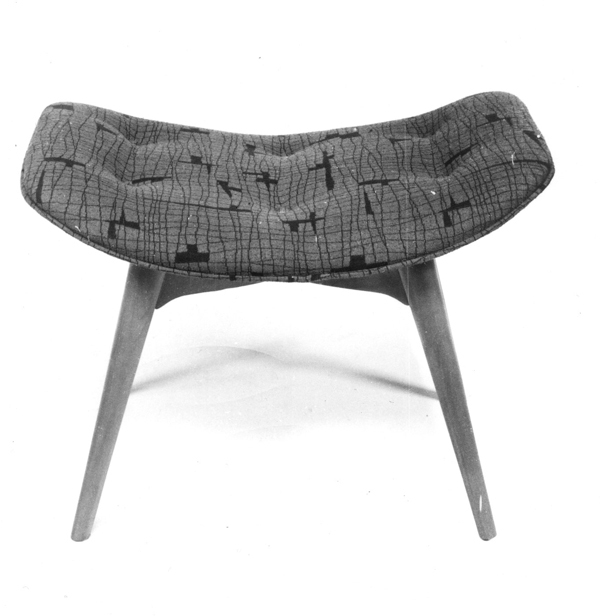 Materials: formed plywood, hardwood, horsehair wadding, latex rubber, upholstery fabric. 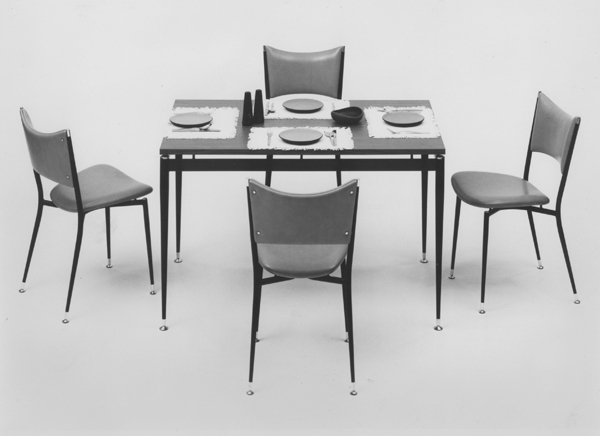 Dining chairs gifted to NGV Collection by Grant & Mary Featherston, 1986. 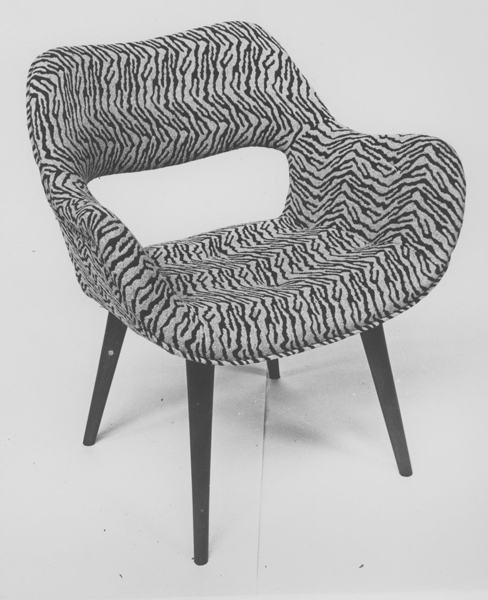 Materials: formed plywood, hardwood, horsehair wadding, latex rubber, upholstery fabric, connecting metal torsion bar. Gifted to NGV Collection by Grant & Mary Featherston, 1973. 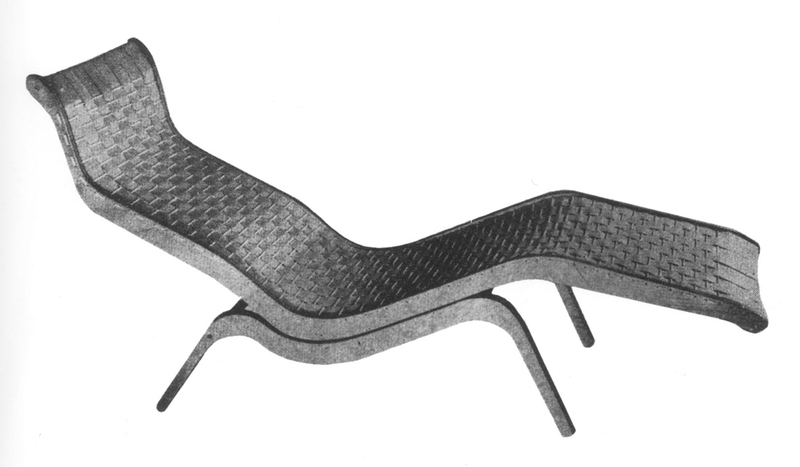 Version with open lumbar hole. 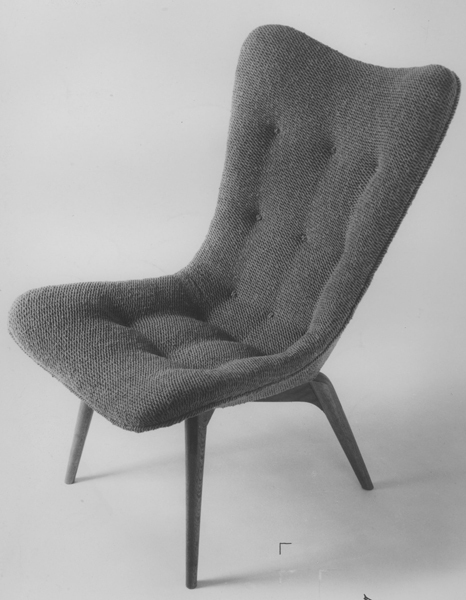 Materials: formed plywood, hardwood, horsehair wadding, latex rubber, upholstery fabric. Manufactured by Emerson Bros Australia. Came with and without open lumbar hole. Part of NGV Collection. Materials: formed plywood, hardwood, horsehair wadding, latex rubber, upholstery fabric. Manufactured by Emerson Bros Australia. Gifted to NGV Collection by Grant & Mary Featherston, 1973. 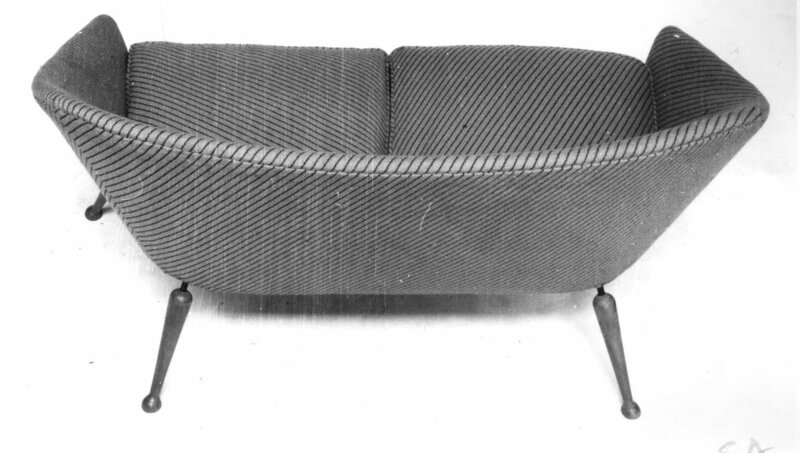 Materials: formed plywood, hardwood, horsehair wadding, latex rubber, upholstery fabric, connecting metal torsion bar. Manufactured by Emerson Bros Australia. Part of NGV Collection. 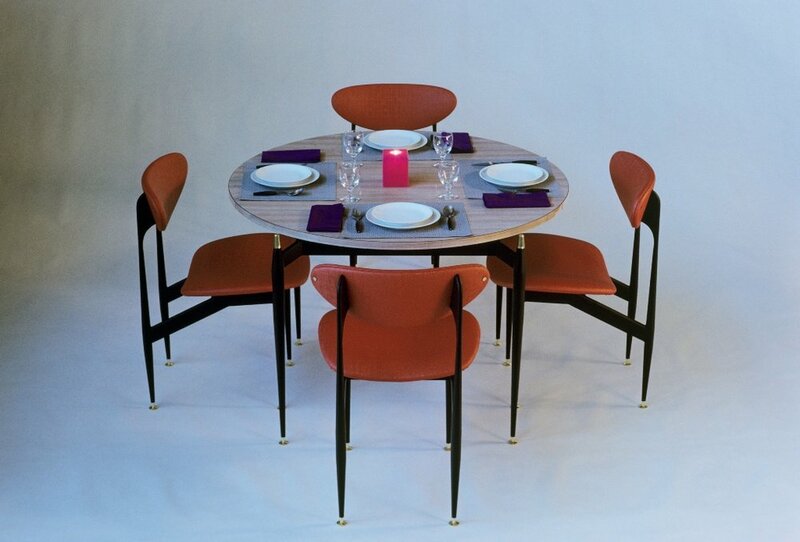 Materials: formed plywood frame, hardwood base and legs, wadding, latex rubber, horsehair, upholstery fabric. Materials: formed plywood, Kauri (Agathis atropurpurea) hardwood, horsehair wadding, latex rubber, upholstery fabric. Manufactured by Emerson Bros Australia. Part of NGV Collection. 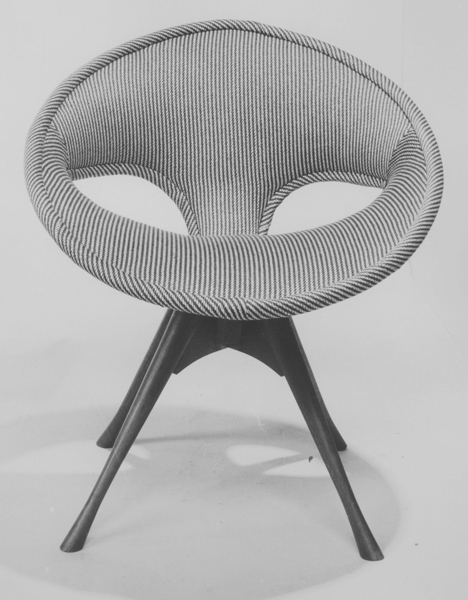 Materials: formed plywood, hardwood, horsehair wadding, latex rubber, upholstery fabric. Manufactured by Emerson Bros Australia. Materials: hardwood, thermosetting laminate, plywood, upholstery fabric, other materials. Part of the NGV Collection. Custom designed chairs for children and adults commissioned by University of Melbourne. Commissioned by University of Melbourne. Materials: blackwood timber, foam rubber, upholstery fabric. Manufactured by William Latchford & Sons. 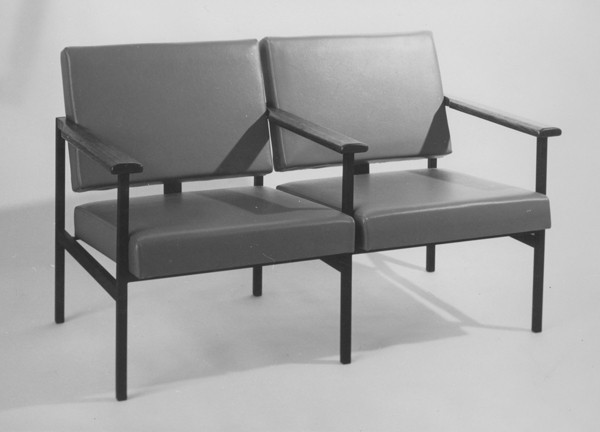 Materials: Steel tube, plywood, polyurethane foam, upholstery fabric. Manufactured by Aristoc Industries. Range included chair, armchair, table, stool, step stool and buffet. Materials: steel tube, kauri timber, tension springs, foam rubber, upholstery fabric. Manufactured by Aristoc Industries. Range included lounge chair (with and without arms), coffee table, stool and divan. Materials: steel tube, fibreglass, sarmprene foam, upholstery fabric. Manufactured by Aristoc Industries. Materials: steel tube, plywood, sarmprene foam, upholstery fabric. Manufactured by Aristoc Industries. 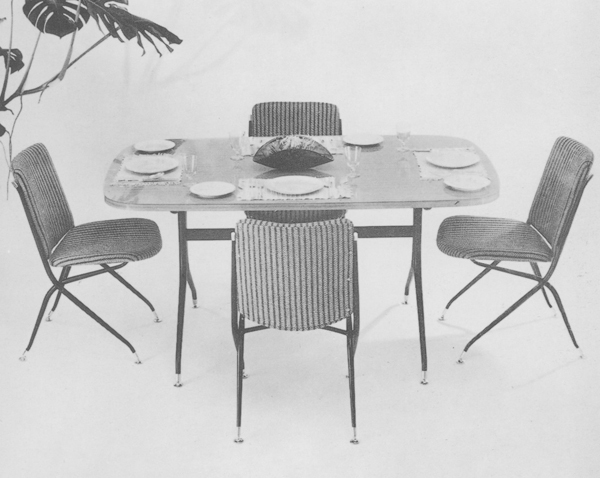 Range included lounge chair (with and without arms), dining chair and table. Part of NGV Collection. Materials: steel tube, plywood, sarmprene foam, upholstery fabric. Manufactured by Aristoc Industries. Materials: steel tube, plywood, sarmprene foam, upholstery fabric. Manufactured by Aristoc Industries. Range included chair, table, stools and trolley. Materials: steel rod. Prototype only. Subsequently manufactured by Gordon Mather Industries. 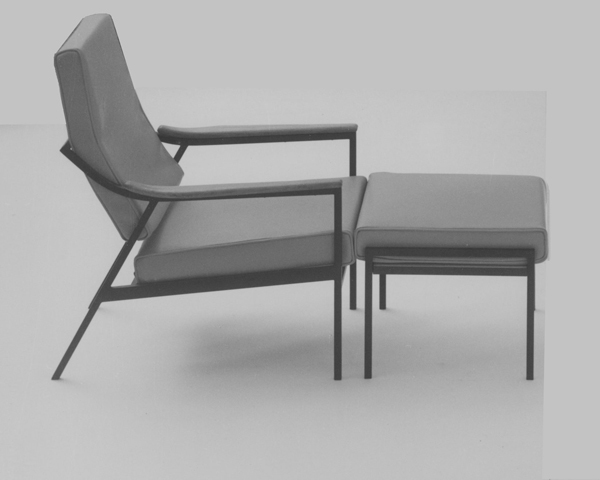 Materials: aluminium base, plywood, polyurethane foam, upholstery fabric. Manufactured by Aristoc Industries. 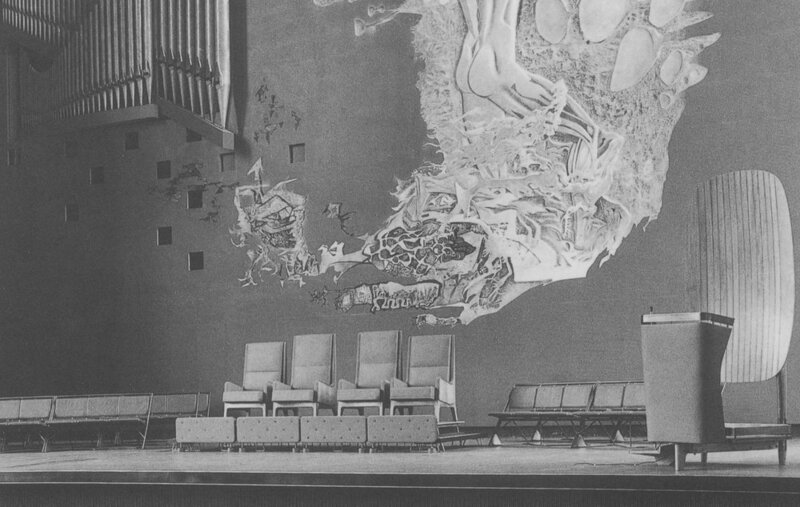 Commissioned by Robin Boyd for the Australian Pavilion, World Expo 67, Montreal, Canada. Materials: moulded rigid polystyrene shell, polyurethane foam, elastic webbing, upholstery fabric, speakers in headrest. 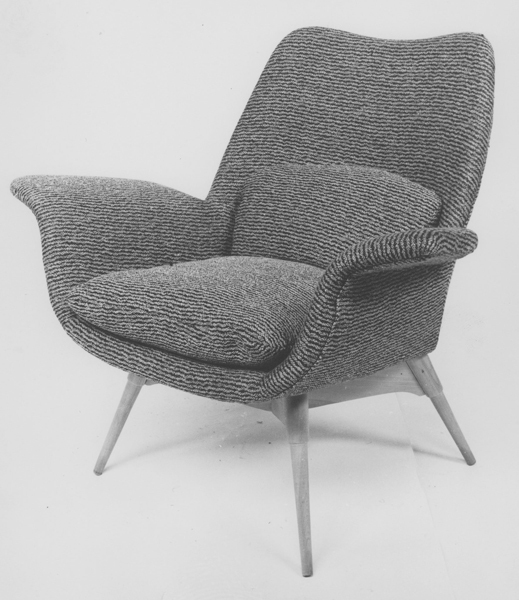 Manufactured by Danish de Luxe and Aristoc Industries. Part of NGV Collection. 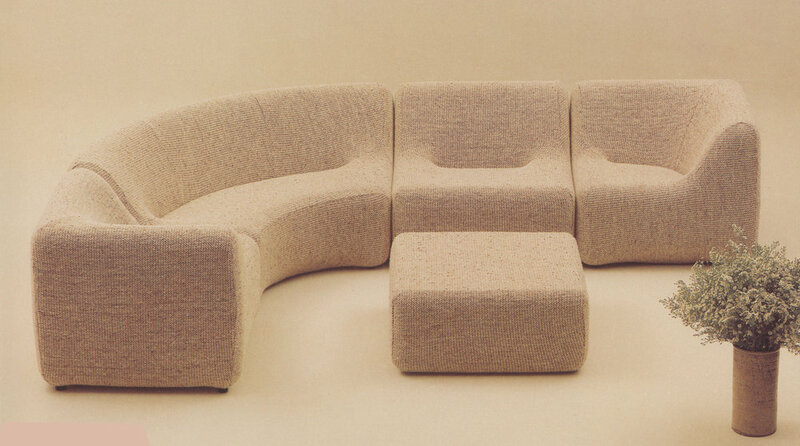 Materials: rotationally cast polyethylene, steel tube, moulded resilient urethane foam cushion, upholstery fabric. Manufactured by Aristoc Industries. Range included dining chair and table. Part of NGV Collection. Materials: steel tube with chromed finish, upholstery fabric. 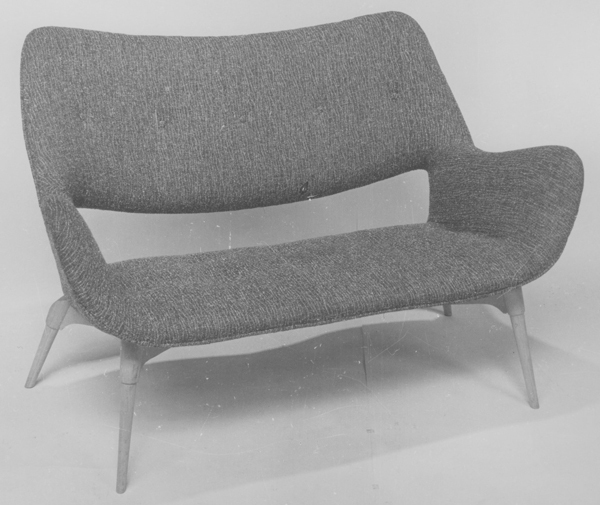 Manufacturer by Danish de Luxe (prototype only). Materials: fibreglass. Manufactured by Module Company & Staff. Chair came with removable seating cushion. 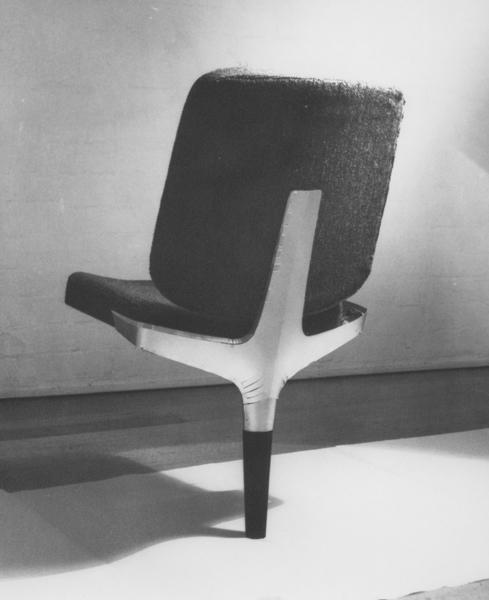 Gifted to NGV Collection by Grant & Mary Featherston, 1982 (chair) and 1989 (table). 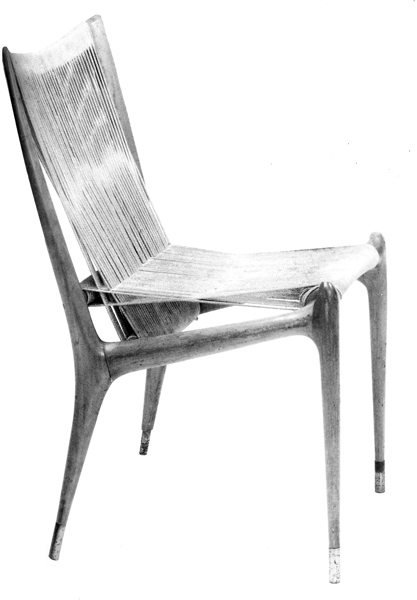 Materials: Pine timber, woven polyethylene, leather. 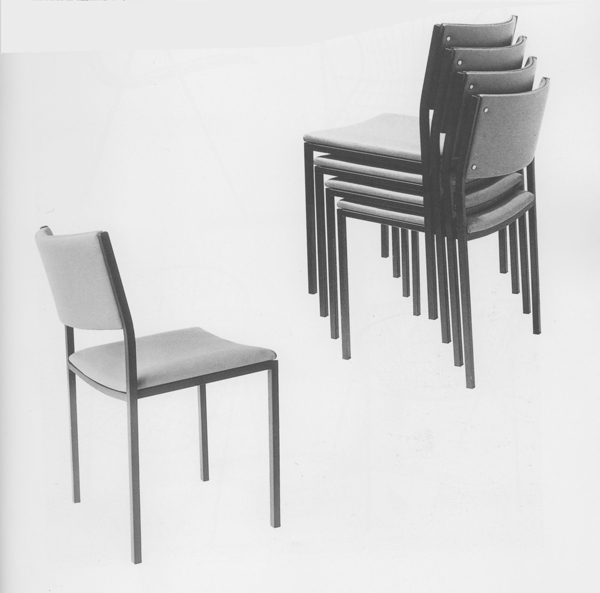 Manufactured by Moderntone Furniture. 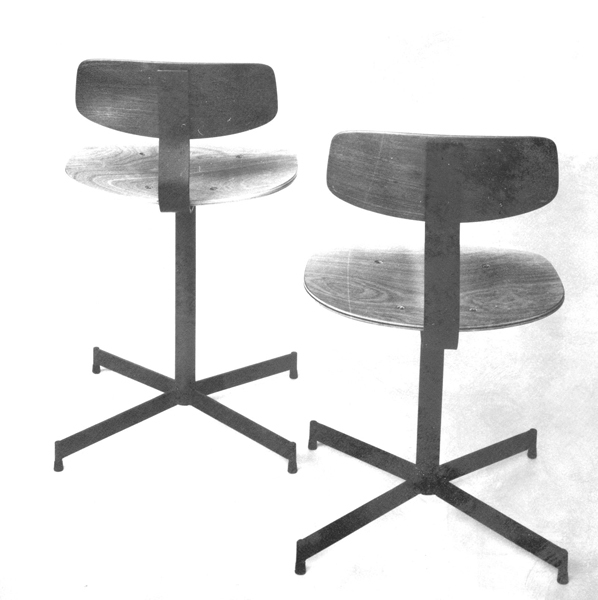 Range included dining chair (with and without arms), dining table and bar stool. 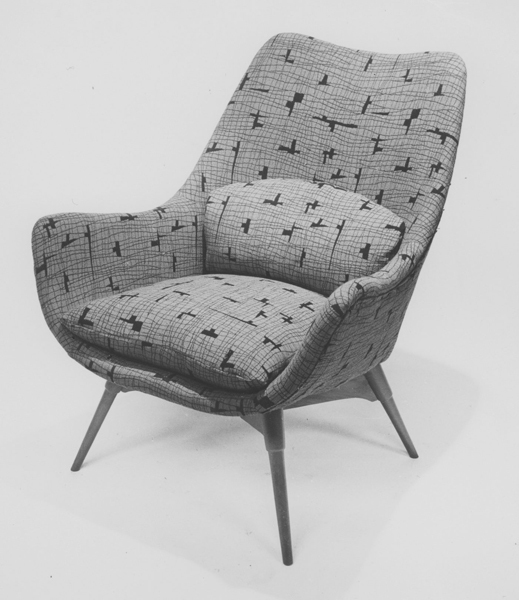 Manufactured by Moderntone Furniture. Range included bed and storage units. Materials: moulded resilient polyurethane foam, metal tube frame, steel webbing, rigid plastic base, wool upholstery fabric. Manufactured by Uniroyal (subsequently Bridgestone). 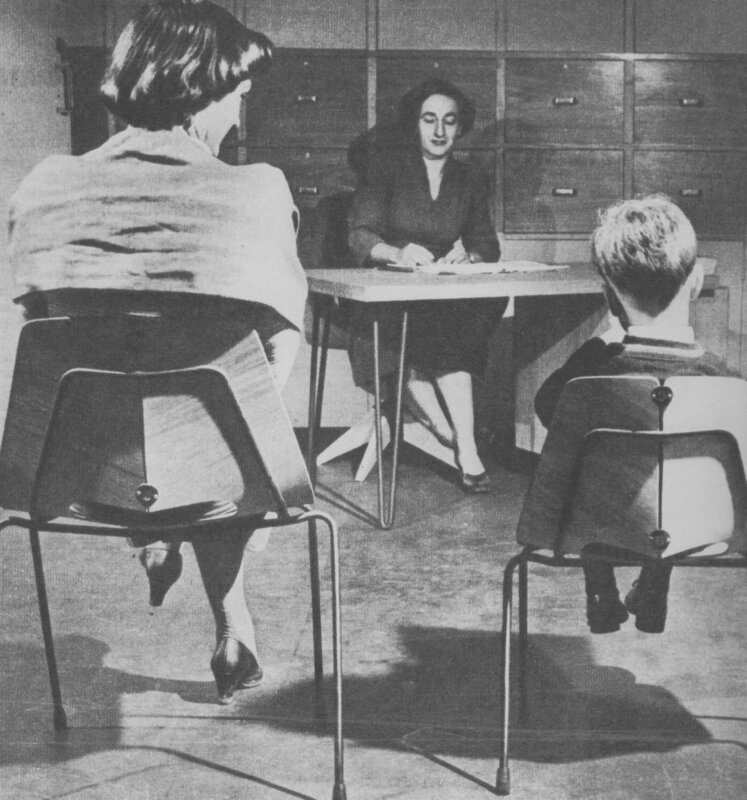 Range included low back chair, high back chair and ottoman. Part of NGV Collection. 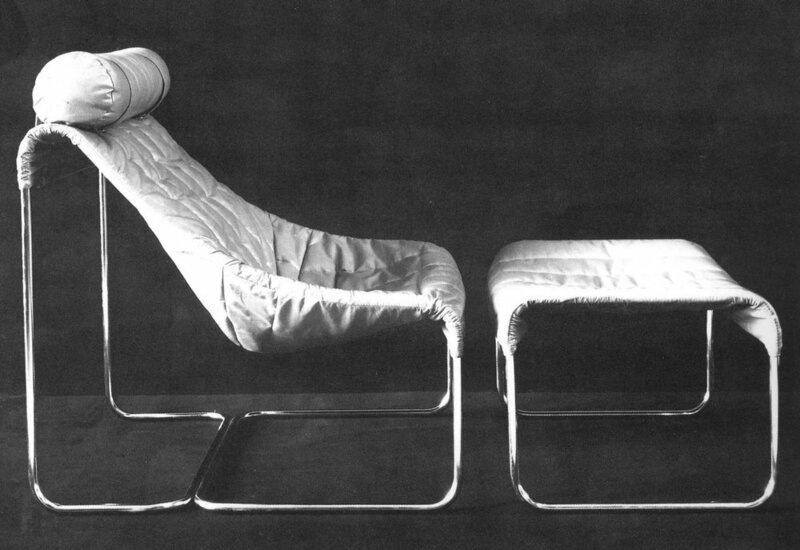 Materials: moulded resilient polyurethane foam, metal tube frame, steel webbing, rigid plastic base, upholstery fabric. Manufactured by Uniroyal (subsequently Bridgestone). 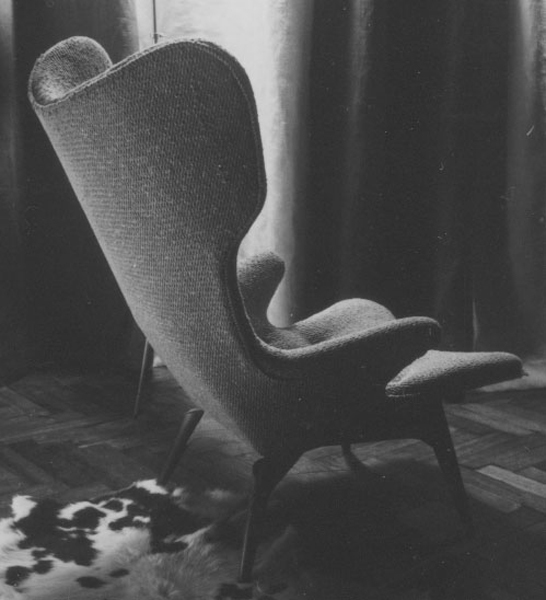 Range included armless chair, corner chair, curved settee and ottoman. 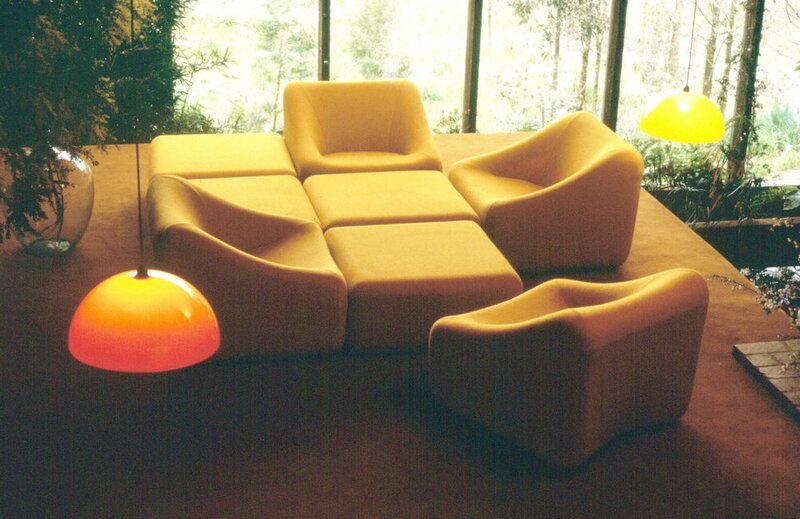 Materials: moulded resilient polyurethane foam, polystyrene beads, upholstery fabric. Manufactured by Uniroyal (subsequently Bridgestone).